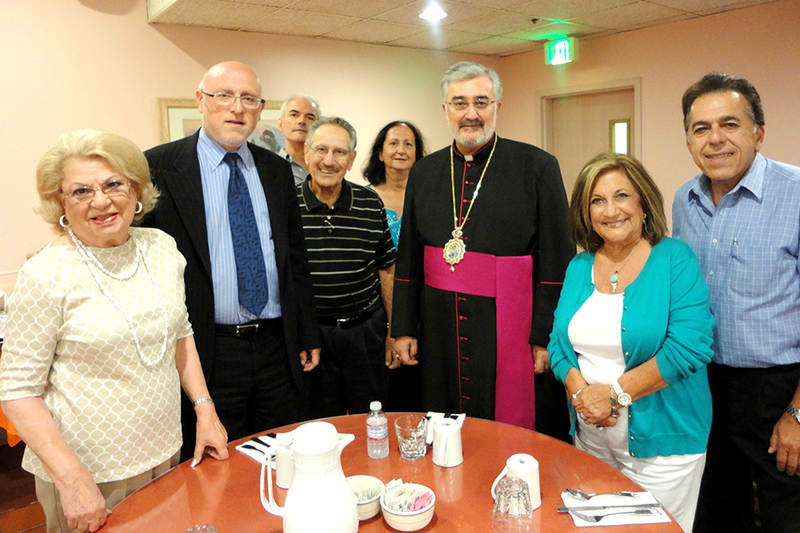 Most Reverend Mikael Mouradian, Bishop of the Armenian Catholic Eparchy in the United States and Canada, visited the Ararat Home Board of Trustees in Mission Hills on August 27, 2014. 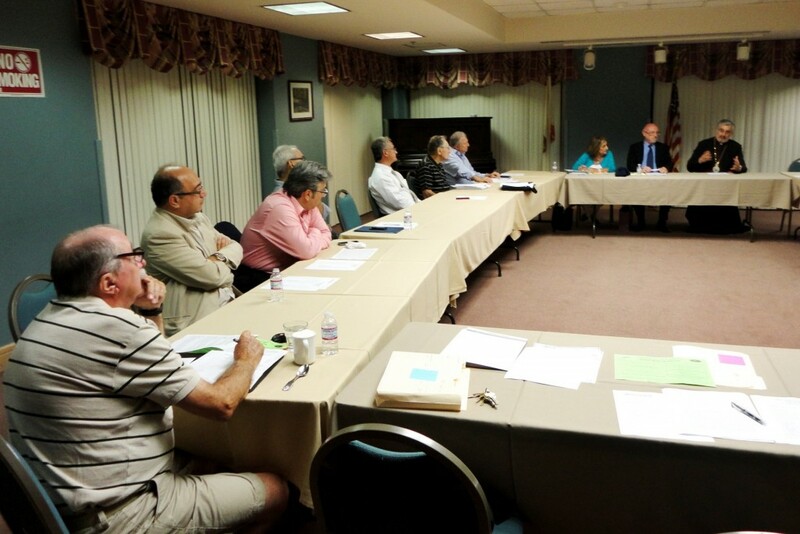 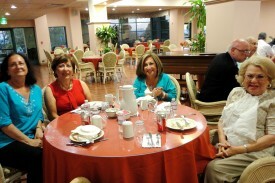 The Board had invited the Eparch to its customary dinner and monthly Board meeting. The Eparch met each trustee and was more closely introduced to the scope of work done at Ararat Home. 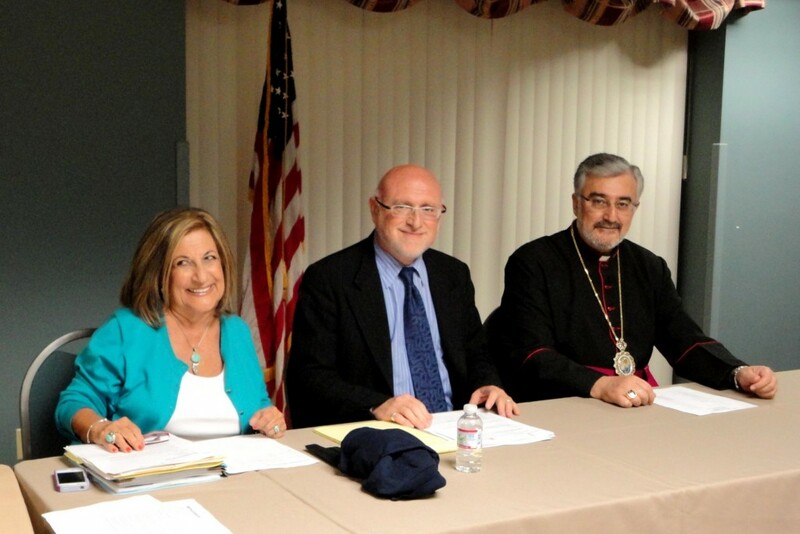 Board Chairman Joseph Kanimian welcomed the Eparch in his opening remarks, introduced him to the Board and thanked him and the Armenian Catholic Church for being great supporters of Ararat Home. 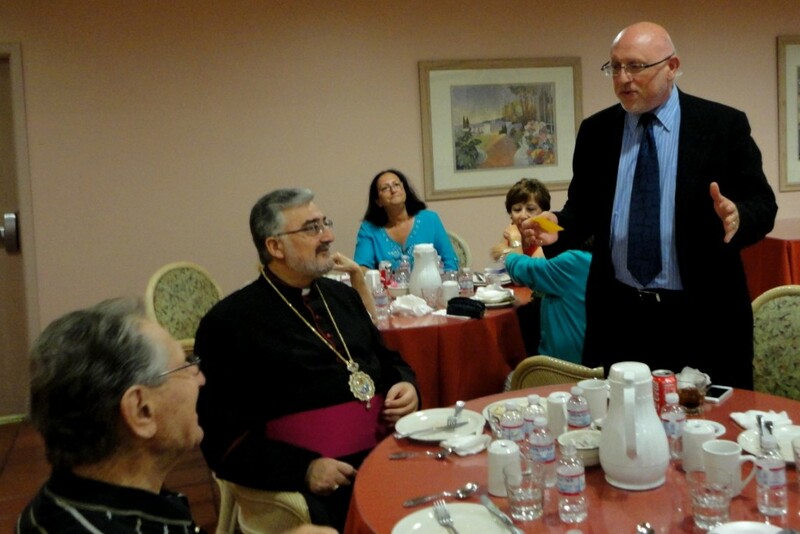 The Chairman also presented the Eparch special Ararat Home gifts as a token of appreciation. 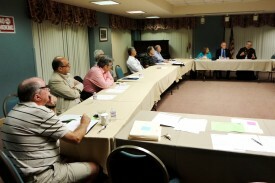 After offering the opening prayer at the meeting, the Eparch addressed the entire Board. 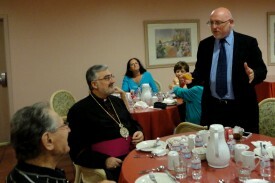 He briefly remarked on the history of the Armenian Catholic Church in North America and the challenges the Church faces today. He blessed the trustees for their service and dedication to the mission of the Home and conveyed the appreciation of the Armenian Catholic Church for the compassionate care Ararat Home provides the elderly members of the community. Bishop Mouradian expressed his wish to return to the Home on another occasion in order to tour the facilities, meet the residents and pray with them, and bless the staff for the good work they all do.